This tutorial is the second time I’ve quilted clam shells. The first time I tried it was with this quilt which taught me a lot. So the first time I tried to free motion quilt clam shells I didn’t have a clue where start, where to go or what to do. I asked around on Instagram and got a few suggestions. I put it all together and found a way that works really well. 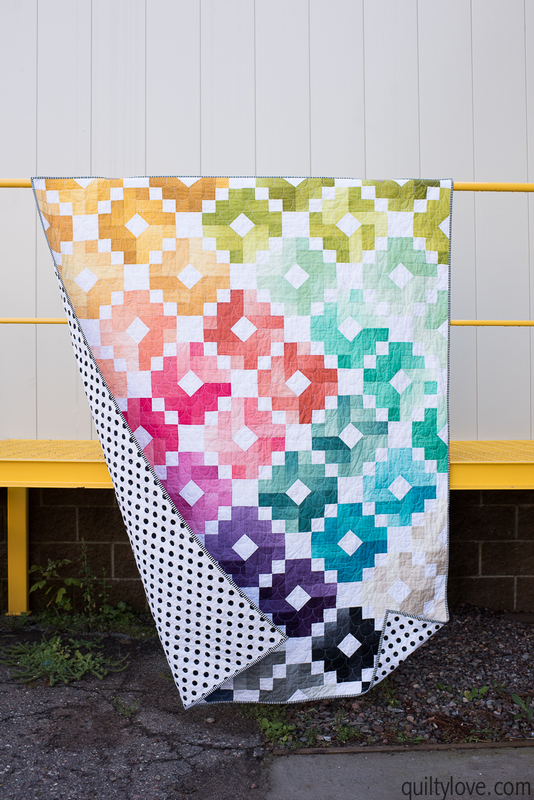 Free motion quilting is a lot of fun! And in some ways easier than straight lines because it can be pretty forgiving and it doesn’t pull the fabric around as much. I find I have way less fabric puckers with free motion quilting. 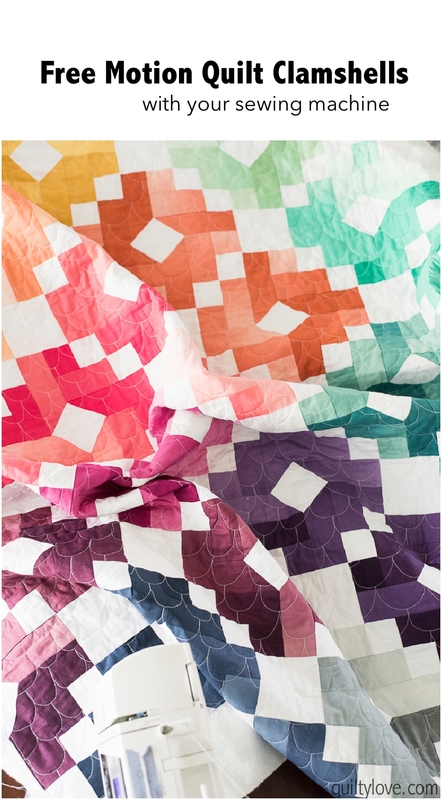 When free motion quilting you will be moving the quilt to draw your design. It’s a funny feeling to get used. 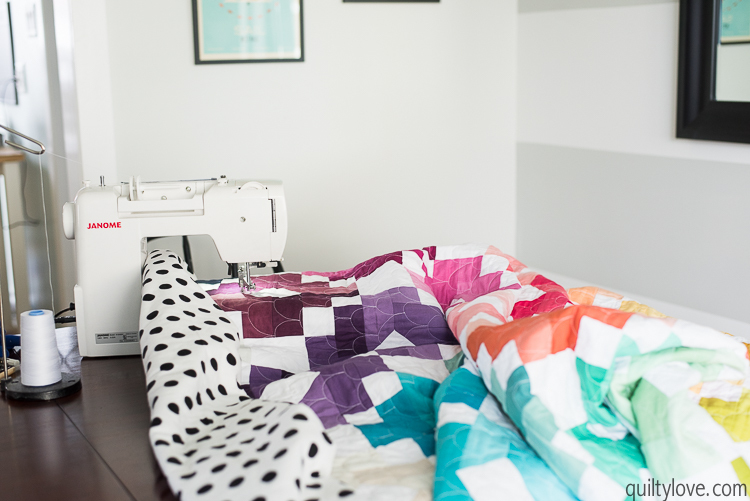 What do you need to free motion quilt? ….or I guess a fabric pen. The Hera marker is my favorite tool for this kind of marking since there are zero worries of it destroying your quilt. 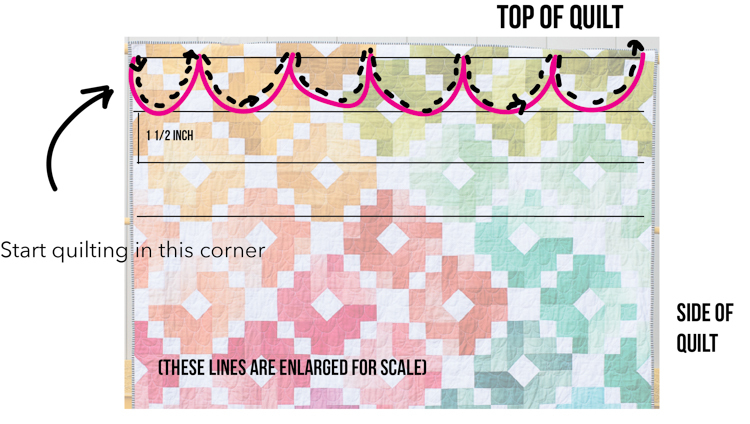 These 1.5in spaced lines are the only markings I use to create the clamshells quilting design. Start free motion quilting in the top left corner. I call my clamshells “organic” because they are all different sizes! 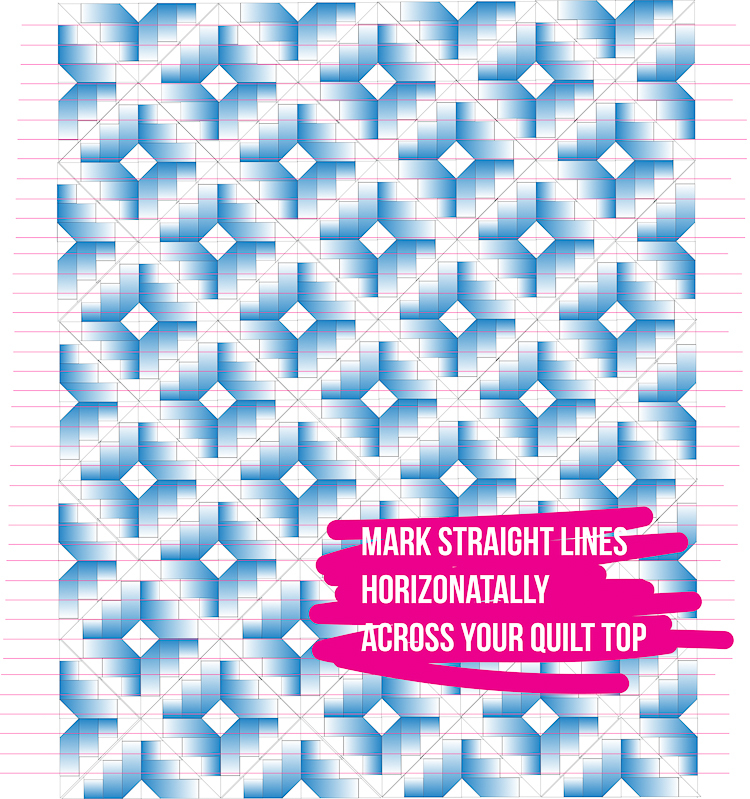 If you want to strive for perfection I recommend marking a grid pattern on your quilt top. A perfectly sized grid will result in more accurate clamshells. But I don’t have time for that ;) It’s much more fun to wing it. Once you get through the first line of clamshells remove your quilt from your machine and start again going in the same direction. 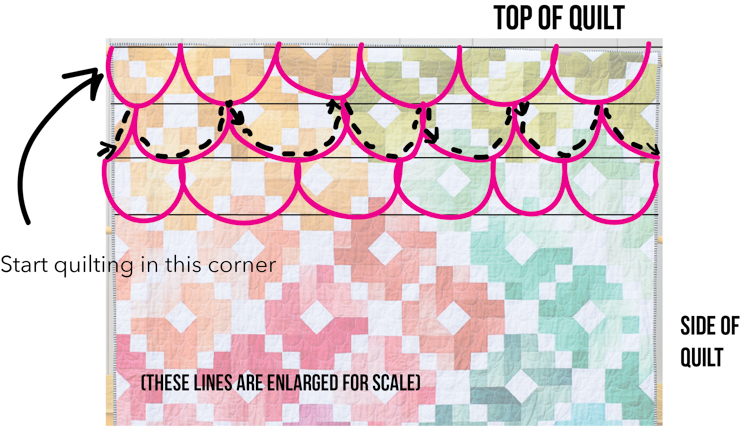 This time you are using the row of clamshells you just quilted and the marked line below as your guides. Each new clamshell should land smack in the center of the clamshell above it. As you quilt the scallops you are actually quilting them vertically so it takes some getting used to. You can see this in the video below. 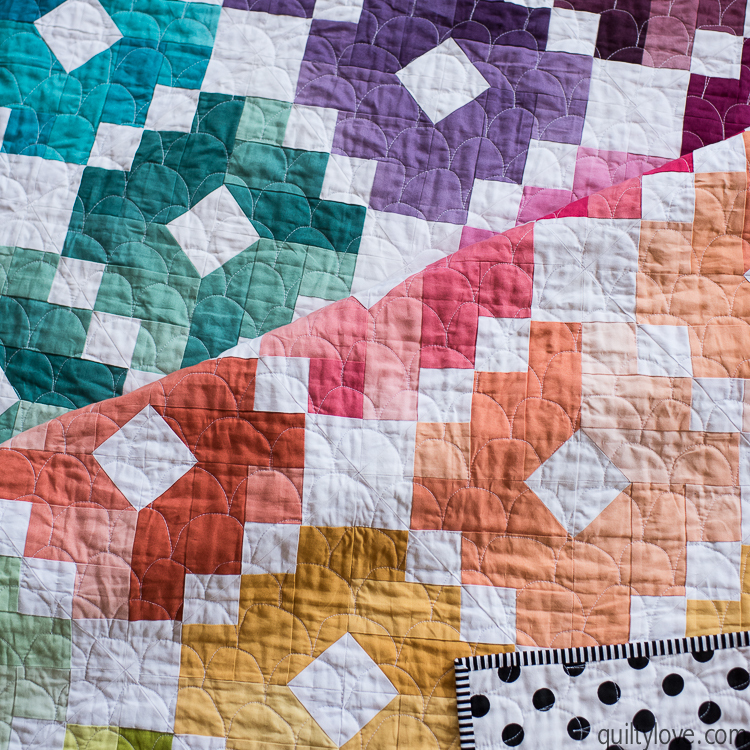 Once you get halfway through your quilt, you can flip it over and start going the other way. You are now drawing the clamshells in the opposite direction, so again… takes getting used to! The video below gives you a good perspective of how the free motion clamshells are quilted. You can see the motions it takes to “draw” these shapes with your needle and thread. So I warned you, these are super raw video clips from Instagram Stories. I think I even sing a little below. I share impromptu videos like this often in my Instagram stories. You should follow along! Hopefully this helps you bust out the free motion foot and try something new! Give free motion quilting clamshells a try. 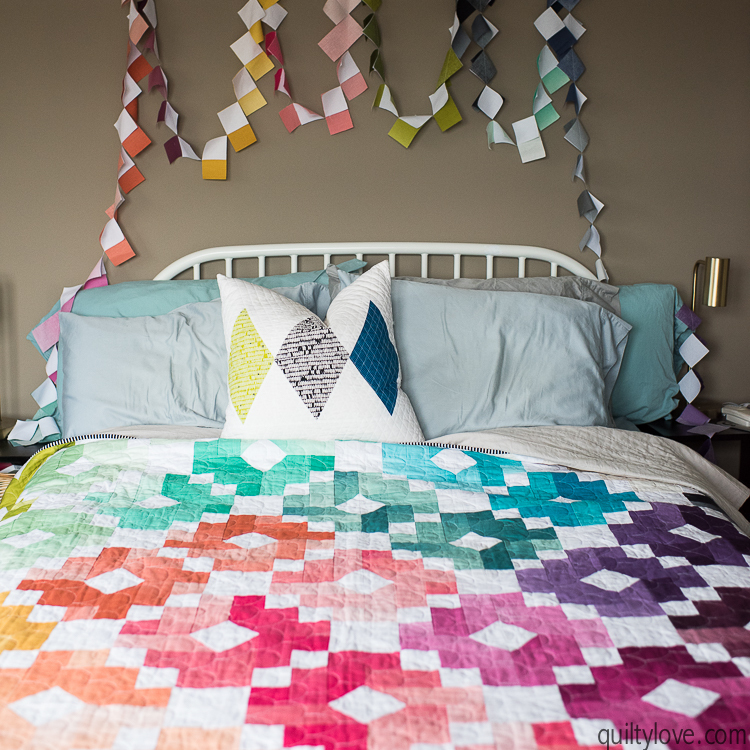 Want to make your own Ombre Gems quilt like this one? You totally can with this pattern! And this ombre fabric. Did you know a new ombre line comes out in early 2018 with gold confetti on it!!?? The big polka dot backing… it’s a wideback! LOooooove widebacks because they mean no piecing :) This wideback is this Riley Blake fabric. This is my second Ombre Gems quilt. You can see the first one here. This one was auctioned off and raised over $1000 for hurricane Harvey relief! 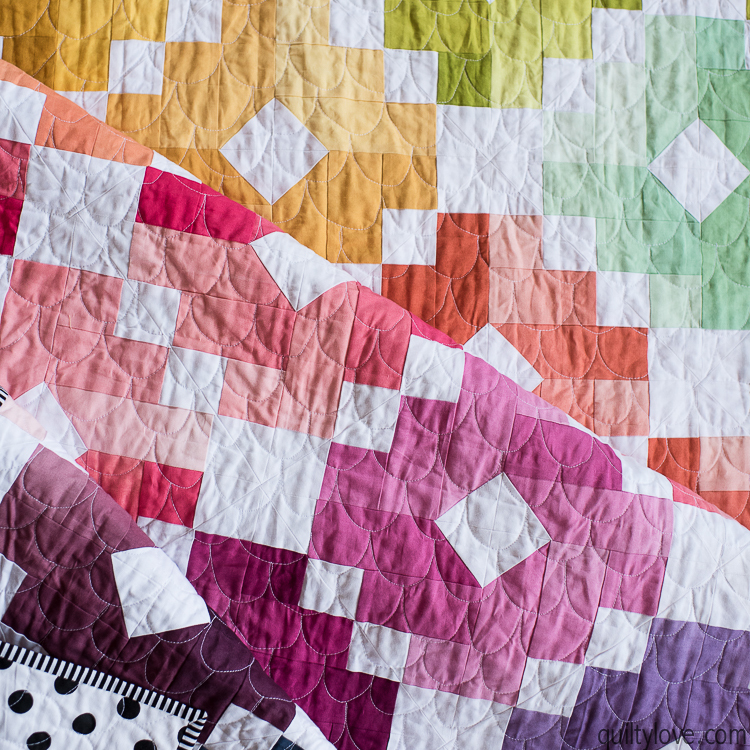 I think your quilt is beautiful and love the clamshell quilting. Thanks for the tutorial and encouragement, I really want to try this now. I’m definitely going to try this on my next quilt. Thanks! Did you really use that tiny Janome to quilt this?? I AM impressed. Great job and not perfect is just like me!